I accepted that some of my animals might die when I took them into my care. What I didn't know is that I would be the one to do it. Not intentionally, but all the same. Poor Elizabeth along with Montgomery and Hawthorne were all attacked by my dog. Unlike the two hens before, Elizabeth survived the attack. I was aware when Hawthrone died (the first hen to go) that my dogs were capable of killing. Knowing this betrayal didn't fit right in my stomach but I pulled myself together and attempted to set some precautions in place. My family, however, didn't take my new rules too seriously. The only rule I had was simply, don't let the dogs out by themselves. My family in return pined it on me. To "not let the chickens jump over the fence" and this wouldn't happen. I wasn't there when Montgomery got attacked, I wasn't there when Elizabeth got attacked either. There was nothing I could have done. My sister hopped in the shower and let the dogs out until she was done. However, she claims she didn't know a chicken was out. Elizabeth was mauled. When she got attacked I didn't see the huge gap in her side, so I put her back in with the chickens... she looked unharmed. I was just glad she was alive. The first day my mother, not knowing what to do, put hydrogen peroxide on the wound as she reported it smelled. She refused to let Elizabeth stay inside. You must move your chicken to a separate location alone. A dog cage would be best. If you leave the injured chicken in the normal area the other chickens will pick and peck on her causing stress and even bleeding. The small area will encourage little movement, which is what she needs to rest and heal. Its important to make sure your chicken is eating. Make sure to use soak and water. You can opt out of using your hands and use gloves, if you choose to use your hands make sure they are washed and clean!. Be careful if the wound is fresh and not scabbed over, this can be painful if washed to vigorously. Make sure water is not to hot, it’s okay if it’s a little cold. Repeat this step 2-3 times before moving on to the next step. This won’t allow the wound to become a breeding ground for bacteria. You can tell if your bird has an infection if it smells or if there’s an excess amount of dead skin. Elizabeth had a long hanging string of dead skin. I waited a few days before cutting it off with sissies. This allowed for me to be sure there was no way of saving the skin. You must not cut any skin that has any shade of pink in it. This will hurt your bird and most likely bleed (this can allow for more bacteria). I cut the skin a half an inch away for the pink skin to make sure she wouldn’t feel it. This step is important, when I forgot to do it (or just didn’t know) there was a huge consequence. I didn’t take any picture cause I was so flabbergasted when I saw it. It only happened once and that’s when I added this other useful tips to not make the same mistake i did. PLEASE if your birds wound is not scabbed over use a 50/50 solution of hydrogen peroxide and water as the hydrogen peroxide will sting on the wound (more so if wound is fresh)! I took off the bandage and an area of her would was green and fuzzy. I could only this it was mold as gangrene would have smell and spread. Her green fuzz went away. I could only assume the mold was because there was to much moisture under her bandaging. At this point I had only been washing, adding cream, and wrapping. Since I added the other steps it has not been back. If you have this on your bird use hydrogen peroxide to clean it, it is highly effective! Damp the area of her wound with a towel. Cover her with the towel and grab your blow dryer. Don’t blow dry the wound, cover it at all times (I covered hers with the corner of the towel). Dry all her feather BOTH sides! Be sure when you flip her over that the wound isn’t pressed again anything that will cause pain to her. You can do this step with step one as a tag along, but it’s necessary and I made this mistake. Cut the feather that are in the way of the wound. Once your bird starts to scab and heal her body will scab over with the feather step on her wound. It’s painful for the bird to rip the feathers off and you can’t leave them heal inside or on the wound. Cut the feathers by the base but not to close to cause bleeding. Now that your bird is dry it’s time to put on a clean pair of gloves to touch the wound with. Antibiotics Ointment is the way to go. You can use triple antibiotic ointment or Neosporin. I have been using Neosporin and it’s perfectly fine (and cheaper). The one thing I can say though is that if the wound is dry it’s easier to put on the Neosporin as it’s has a more liquidity consistency than the triple antibiotic ointment. Make sure your not using an expired cream or bad one. The cream will be bad if cap is not on it. Cover the wound with gauze and wrap with ace wrap. Make sure when wrapping the wound to cover all of the area. This will act as a barrier and protection to self harm the bird might do but mostly for the flies. If the wound is exposed, flies will lay eggs in effected area. Maggots are larvae to the fly. Now, I know what your thinking but maggots aren't actually all that bad. Maggots only eat the dead flesh, they leave the live skin alone. Maggots doing this decrease the surface area for bacteria to grow, which is a big plus. Although it is customary to remove the maggots as soon as possible. To remove the maggots, first wash the area. There are many techniques to get rid of the little buggies. The ones I'm going to tell you are the best and most efficient. First is the flushing technique. you a hose or sink attachment depending on the size of the wound and flush the maggots out with water. You can even use a syringe to flush them out of the smaller holes. If the maggots still persist grab your tweezers and some music this might take awhile. If the maggots disappear back into the skin, lay a towel over the area and make sure its dark. Within a couple of minutes they will return again. Some maggots might even try to hide inside the feathers. Try to get out as many as you can and repeat with tweezers until no more show. I'm happy to report that Elizabeth is healing quite nicely. Every Month I will choose my Top 5 Comment winners! Don't forget to be funny and creative! Chickens Galore! I love chickens. Now that I'm thinking about it they're probably my favorite animal, and they can be yours too! 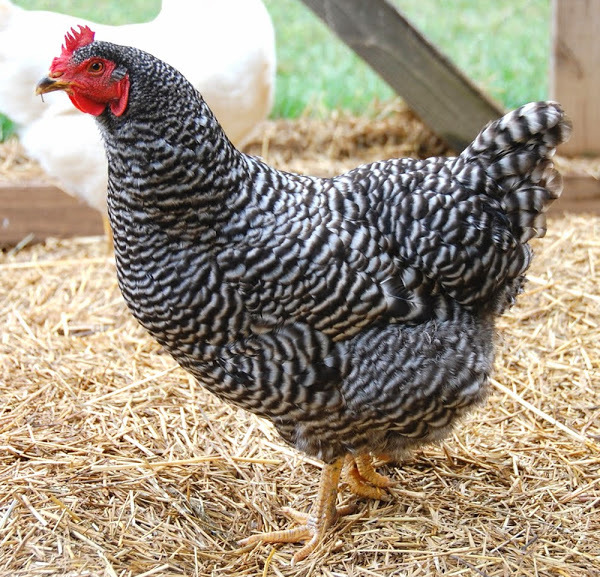 This list is mainly for good, productive, hardy breeds for getting the most out of your chickens. If you're interested in Self-Sustainable chicken breeds look there. A lot of suburban coops have the deep litter method. Its a good idea in retrospect but its not efficient.